The reviews about Xtend Life Age Defying Day Cream seem quite good with a number of people commenting on how well this cream deep moisturized their skin, making it look more plump and smooth. Some people have also noticed their wrinkles and fine lines diminishing. So, let’s have a more detailed look at this cream’s features as well as its pros and cons. How Did I Bump Into The Xtend Life Company? Xtend Life is a company in New Zealand that has grabbed my attention lately because of their natural supplements. That is how I also discovered their range of skin care products for both men and women and decided to find out more about them. The company is in favor of creating natural products free of chemical ingredients that have been blamed for skin damage and irritation. 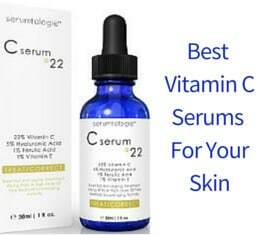 They are also using components that according to them target the 3 main causes of aging. One of them is a new breakthrough in skin care. It is called Xtend-Tk and is clinically proven to boost collagen and elastin regrowth. What Are The Benefits Of Xtend Life Day Cream? Xtend Life suggest that their day cream can reduce fine lines and wrinkles, make your skin softer and even stimulate the production of collagen and elastin which is necessary for keeping your skin’s elastic and youthful. The company also states that this cream works best when used in conjunction with some of their other anti-aging products. Xtend TK– Xtend TK is an ingredient that is produced by the Xtend Life company itself and can only be found in this company’s products. It is a form of bio-active Keratin which can rejuvenate skin and help with the production of collagen. Studies show that Keratin does help the body produce collagen, so this can be an effective ingredient in stimulating its production. Nano-Lipobelle H EQ10– This is a form of coenzyme Q10. Q10 is often used in anti aging products and studies show that it does seem to help in the reduction of wrinkles. It is also believed that Q10 can help increase the production of collagen and elastin which is necessary to keep the youthful elasticity of the skin. Nano Lipobelle H EQ10, which Xtend Life uses in their day cream, is a nano form of Q10 which penetrates even deeper than normal Q10 the skin to provide even more advanced anti wrinkle results. Natural Vitamin E and Grape Seed Oil– Both vitamin E and Grape seed oil are strong anti-oxidants and by now most people know that anti-oxidants help control those free radicals that lead to various diseases and are one of the causes of skin aging like fine lines and wrinkles. So, having some anti-oxidants in a skincare product adds to its effectiveness. Maracuja– Maracuja is said to regulate sebum production, keeping the skin from becoming too dry or too oily. While this ingredient has no anti-aging properties, it may help fight acne and keep skin more moist and healthy looking. Babassu– Like Maracuja, Babassu has no anti-aging properties but it is a wax used in skin care products to seal moisture which helps fill those fine lines and wrinkles. Crodamol OP– Crodamol Op softens and soothes the skin, giving an overall better appearance and sensation. What Do Xtend Life Age Defying Day Cream Reviews Say? People felt very pleased with how the cream made their skin feel more moisturized, toned, soft and in some case with less visible wrinkles. 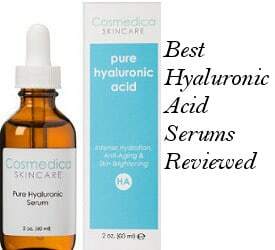 Especially users with normal or dry skin stated how much plumper and more hydrated their skin looks. Also, the fact that Xtend Life skincare supports you with a full money back guarantee makes it safer for you to try out their products. 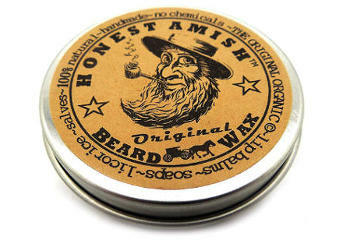 Its price is reasonable for a cream containing a good amount of natural ingredients. Still, a few people gave a negative feedback concerning the packaging. The cream is contained in a squeeze tube and you have to be careful so that you don’t end up with excess cream on your hand. There were a few people with acne prone skin that found Xtend Life Day Cream not to be the most suitable choice for them. What I would say after researching more deeply into the full list of ingredients used in their skincare products is that Beeswax is an ingredient that is not the best choice for acne prone or oily types of skin but since there is no full list of ingredients for each product but just a detailed list for all their products, it is difficult to know whether Beeswax is contained in their day cream. The only way to find out is calling their customer service if you have acne prone skin and you want to be sure about it. 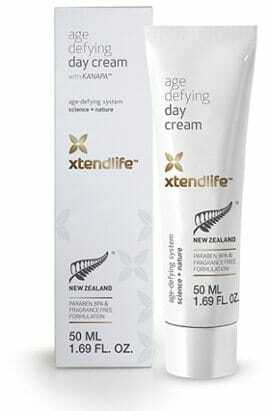 After reviewing Xtend Life Age Defying Day Cream, it seems that it is an overall good natural skin moisturizer. Its moisturizing and anti aging ingredients can result in a more youthful skin appearance and help to fill in some of those fine lines and wrinkles depending on the case. All this backed up by a generous 1 full year 100% money back guarantee.